The 173 meter long, 9600 ton United States Ticonderoga-class guided missile cruiser USS Antietam ran aground off the port of Yokosuka, Japan. The navy ship had at anchor when high winds caused the anchor to drag. The vessel got underway to avoid being blown ashore, but it suffered a malfunction in its pitch control in both propellers. Unable to make headway, the USS Antietam was blown aground. 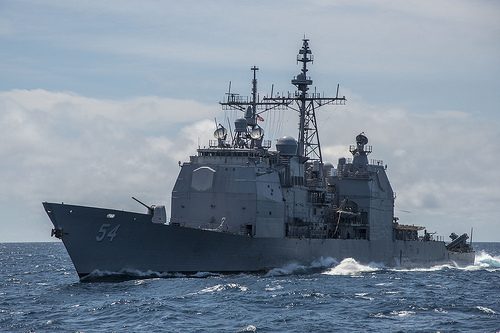 The missile cruiser struck bottom causing the vessel to shudder and damage the hull. No reports of injuries, but some 1100 gallons of oil was released into the sea. The USS Antietam was later towed back into port. Authorities report the US Navy was taking steps to clean up the pollution released. 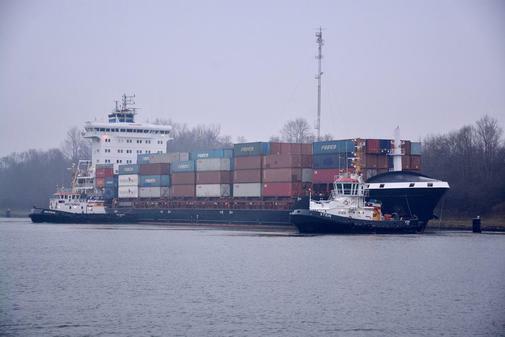 The 158 meter long container ship Elbsailor became disabled on the Kiel Canal near Schact-Audorf, Germany. The Elbsailor was bound for St. Petersburg from Hamburg when it suffered engine failure. The crew quickly peformed an emergency anchor keeping the boxship from running aground. However, the Elbsailor swung into the fairway blocking all traffic. Authorities were alerted and two tugs were dispatched to take the Elbsailor under tow. A few hours later the tugs towed the Elbsailor and proceeded to Klein-Königsförde where the vessel moored. Reports state the crew were assisted by technicians and restarted the engine. 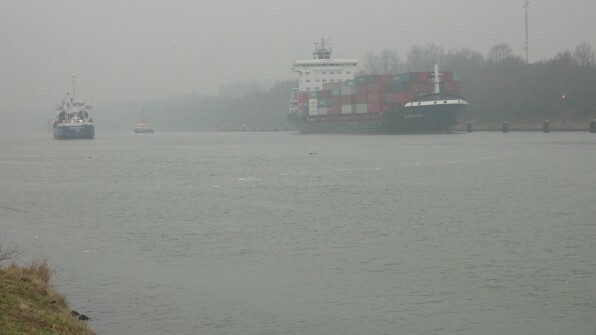 The Elbsailor proceeded towards Holtenau escorted by a tug. No reports of injuries, damage or pollution released.